In 1985, I for the first time won a first prize with my reproduction of an antique Bru-doll at the world doll congress in Brighton, Great Britain. 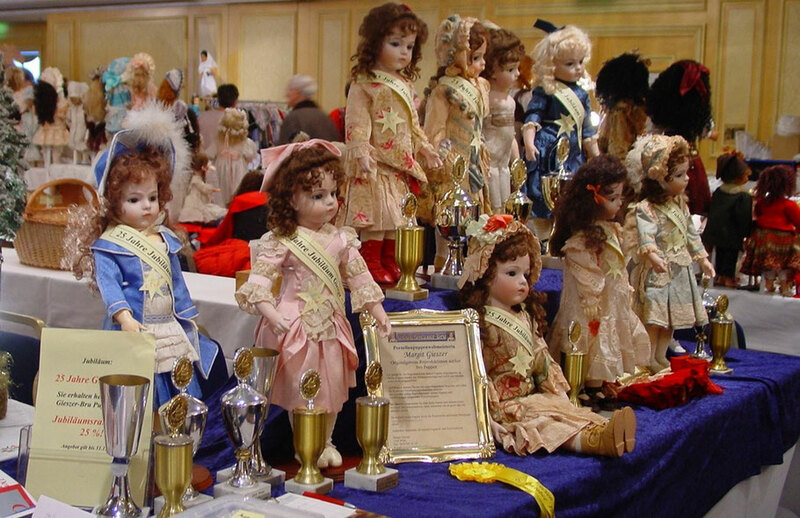 Many first prizes followed at further doll congresses in Europe and also other 11 first prices at world doll congresses. For more than 30 years now, I have been exporting my Gieszer-Bru dolls into many countries worldwide. As there are only few original Bru dolls left, my Gieszer-Bru dolls can help filling the gap in the collections of antique Bru-dolls.